In the event of a flood or any type of water damage, time is your enemy. We recommend calling us as soon as possible after the damage has occurred since it becomes harder to fix the issues the longer one waits. Color runs are a very common problem with area rugs that have been involved in water damage. Area rugs that have been subjected to water damage must be taken out for a deep cleaning in order to flush out any harmful bacteria that may have been carried in the water. 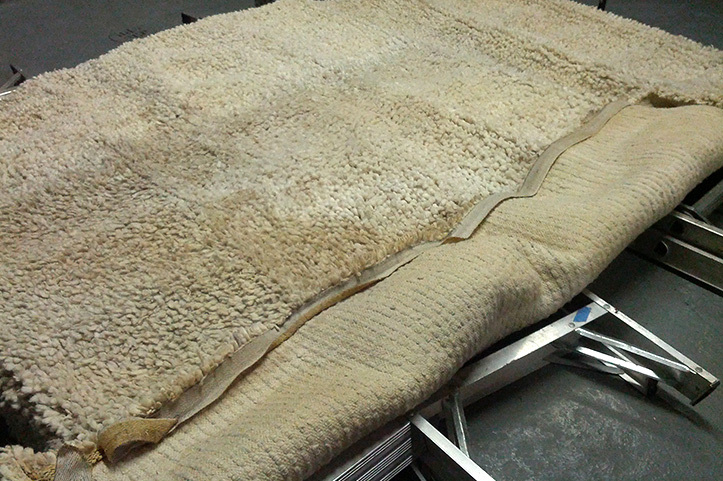 Not cleaning the rug properly can lead to severe mold and odor issues. We offer emergency water damage services in NYC, Brooklyn, Staten Island and Queens.